We’d love your help. 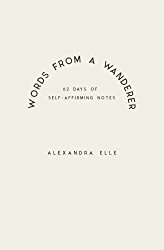 Let us know what’s wrong with this preview of Words from a Wanderer by Alexandra Elle. To ask other readers questions about Words from a Wanderer, please sign up. Words From A Wanderer is a compilation of notes and poetry. This book was created with hopes of uplifting and encouraging readers in many ways. “I started writing notes to myself because a little self-love can go a long way." So from the description this sounded like an incredibly timely and beautiful book, but I ended up pretty disappointed. The writing isn't really poetic, rather quite simple. Also, a lot of the "notes to self" felt distant and not as personal as I was hoping. Overall, this compilation was a pretty okay read - nothing bad, nothing spectacular - and it was something to add to my poetry shelf. A short little book full of notes for one's self and little poems. The writing was rather flat and simple, not poetic. I know this book is supposed to be uplifting and empowering, but to me, it only felt like "been there, done that", nothing new that I haven't read before, thought about or even told myself. It was an okay read nonetheless, nothing out of ordinary. I am currently in pieces right now, broken, I must say. And all was left are tears uncried. This book uplifted my entire being. It brought me to tears, not the sad tears but an overwhelming gratefulness kind of tears. I found a friend. I found a very good friend in a book. It is a good kind of friendship. And I intend to go back to the pages over and over again. 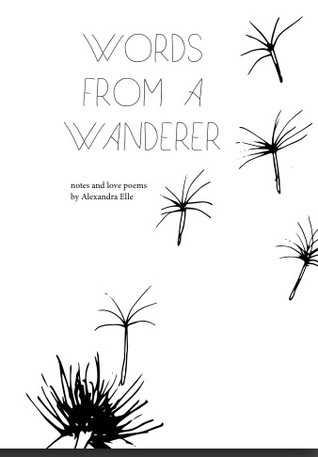 A peaceful book about different thoughts of Alexandra Elle, a wanderer, just like you and me. If you keep going backwards with the same people that God has intentionally removed from your life, you will continue to stay stuck. There is no joy in being confused and unhappy. Get rid of old bad habits and leave them where they belong. What is meant for you will be yours, learn to let go. Dysfunction isn’t love. Assum A peaceful book about different thoughts of Alexandra Elle, a wanderer, just like you and me. Assumptions will ruin your beautiful mind. Be aware of what you’re entertaining, even in thought." Love your neighbor, even the ones who do not show you the same courtesy. You can’t expect to receive love if you’re selective and not really willing to give it. What you put into the world, you will indeed get back, even if it’s not from the person you’re expecting it to be. "There is no layaway in love. You cannot beg and plead a person to give you what’s rightfully theirs, especially if they aren’t willing to share. If a man isn’t ready to love you, let him be. Despite how much you think you want or need someone else, you don’t. Prepare yourself so that when the right one comes along , you’re ready and able to love them with your whole heart and not just pieces of it." This was just stunningly BEAUTIFUL!!! 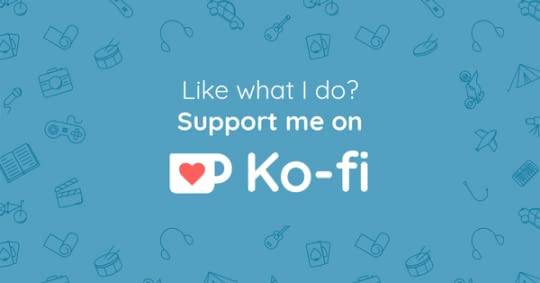 How can I download it free through goodreads? Felt like I’m reading instagram quotes!! this was ok. not what I expected. Read the entire thing in under an hour. was hoping to get lost in it the way I like to do in my readings however I just kinda felt like I was reading someone's Facebook statues. This is such a beautiful book. I just read it all at once, not able to wait once I found out it was free here on goodreads. It switches back and forth from poems to 'notes to self' which is really cute. So inspiring and some parts really make you think. I love every bit of this book, I reflected on some of the things that has gone on in my life as I read through the notes. There's relatable content on almost every page. This book is very insightful, I will be keeping it close. Read these notes every time you feel down, confused, unhappy and lost. Remember how beautiful and worthwhile you are then sleep tight. Most of it I didn't like but there were a few extraordinarily beautiful stuff towards the ending. Tak toto bolo plné motivačných klišé. Ešte aj tých pár básničiek čo tam bolo ani nemalo nejakú formu. But those parts for a lover weren’t for me. Me sorprendió y me gustó bastante pero no creo que este formato sea el adecuado, quizá más como el estilo de un poema diario, pero ni siquiera son poemas, son más como frases inspiradoras. The notes where very repetitive (the essence of the notes and the words that where used i.e. 'worthy' and 'forgiveness'). It also felt like I was reading an old diary from when I was sixteen years old and we all know how cringeworthy that is...But nonetheless 2 stars for the self-love message! Listen, learn, love and live. You owe yourself knowledge and peace. a small book that's worth a read. narration of the author really is awesome. simple writing style wonderfully crafted. have a millions of stuffs for reflection though it's only a 30 minutes read. this book as a whole is some random thoughts, lovely poetries, sweet romantic self reflection , self love and lot more. And everything that's shuffled over the few pages haphazardly with the scattered tiny designs make this book pretty. The vulnerability of this book taught me to love parts of myself I previously discarded. I ended up reading this book because of all the quotes I saw on Tumblr from this book as well as the numerous positive reviews I've seen online. I did like this book. There were multiple memorable quotes that stuck with me and that I related to. I could relate to the authors journey - a sense of loving yourself and reassuring yourself... but because this book is a compilation of notes I felt that some of the messages were bitsy and incomplete. Perhaps if the author had grouped her notes and poems by category and given a little bit more of a contextual background rather than it being like a few pages out of her diary it could've been much better. This was a lovely little book. There were some memorable quotes indeed, but as I reached the ending I was left with an incomplete feeling. The self-love quotes and poems were surely the most successful aspect of this book. I absolutely adore Alex, but I suppose I expected more. There were many quotes/poems that seemed hurried and underdeveloped. Overall, 3.5 stars. It just needs more substance. It's what you need to read when you're down : beautiful words of encouragement and positive vibes . Worthy read. Loved every single thing said. This is something I will most definitely go back to when I need a little boost. Such great note to self. "The heart is resilient and forgiving. It is the mind that causes us stress." "Keep in mind that the reason you know you can be good to others is only because you've taken strides to be better for and to yourself." "Believe in something greater than yourself. Love a little harder. Learn something different. Let your feelings be. Embrace the changes. Cry when you want to. Sob when you have to. Share a smile with a stranger. Laugh until your tummy hurts and your cheeks ache. Enjoy the moments of life even if they hurt. Allow your heart to mend. Be open to trusting again. Your happiness is in your hands." It's a collection of prose & poem but the more I read poetry, the more I could see the recurring theme of it. Nothing much different from what I've read before. However, there's quote I think each & every little girl need to be taught. 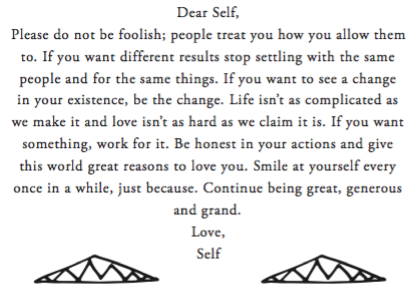 Love yourself first. 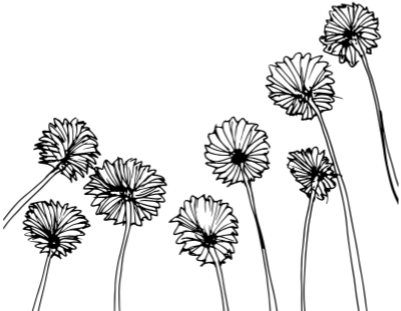 Buy your own flowers. Tell yourself how beautiful you are. Don't expect anyone to love you more than you do. 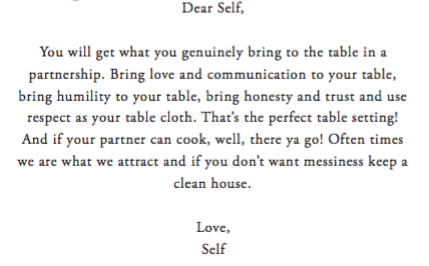 I liked it but the 'dear self' that continuously used were a bit irritating. I hope to read more of the author's writing.